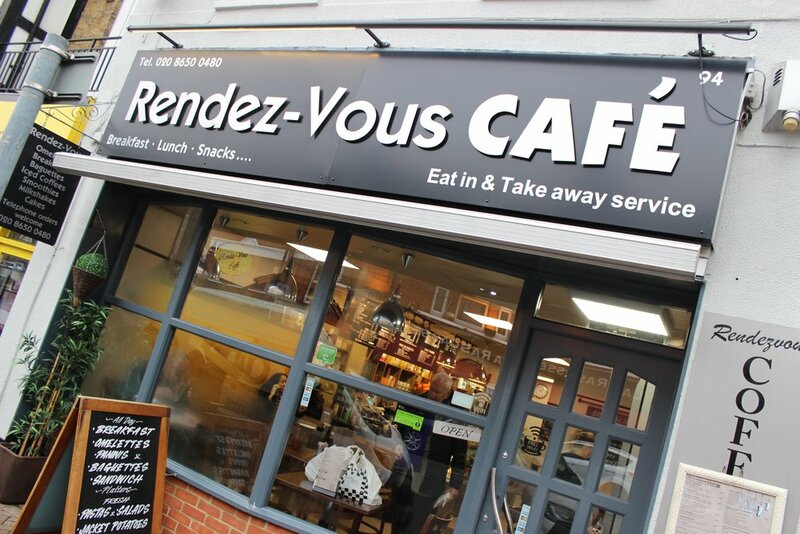 Rendez-Vous is an independent cafe in Beckenham, South London. Open from as early as 7am, this deliciously simple cafe offers a strong selection of food and drink options. Situated at the top end of the high street, Rendez-Vous cater for breakfast, lunch and all the sweet snacks in between. Expect to find fresh fruit & squeezed orange juice, an array of salad items & sandwich fillers, jacket potatoes, pastas, paninis, cakes & muffins and more. To drink, expect fine coffee, a selection of teas, smoothies, fizzy drinks and fresh juices. The interior is bright, clean and comfortable. The service counter stretches almost the entire length of the cafe and plays host to the vast selection of food items available. The service, whether you are eating in or taking away, is swift, helpful and friendly.